Upbeat! Cheerful! Yes, we are describing a house and this one has personality. Are you weary of looking at homes only to find that they have choppy layouts and need a ton of work? Well, look no further than 8 Pinewood. 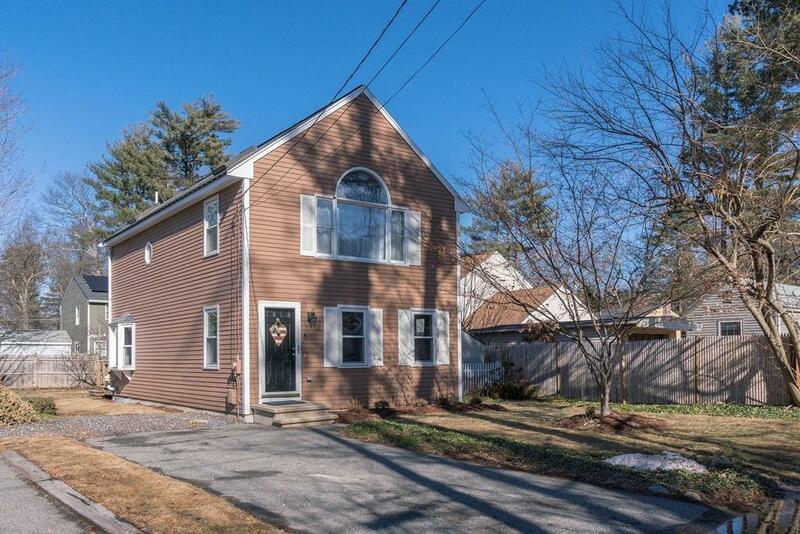 This young, hip Colonial has everything on your wish list and more. Let's start with the location - desirable neighborhood just a short walk to Fairbank Community Center, Atkinson pool & playing fields/playground. The house has a great open layout & we love the corner fireplace in the living room. The kitchen is extremely spacious and features stainless appliances and a slider to the yard. Perfect outdoor space - a fenced yard with deck, patio & fire pit area. Upstairs you will be pleased to find three spacious bedrooms, including the master with soaring ceilings. All three bedrooms have skylights. First-floor laundry, gas heating, and central air are certainly a draw. The large finished basement has high ceilings and makes a great additional living area & playroom too!